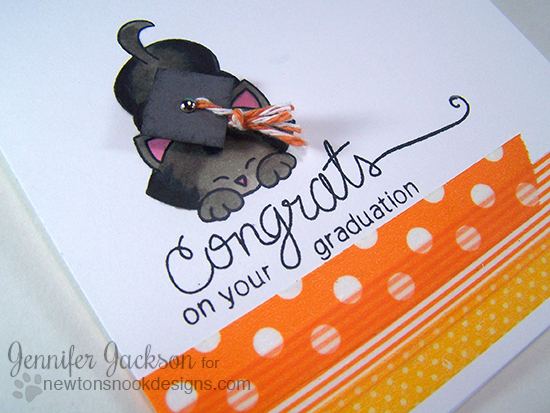 Newton's Nook Designs: Kitty Graduation Card! This is such a cute graduation card! I absolutely LOVE the little graduation cap and the strips of washi tape go perfectly! Adorable card, love the design and the cute stamp set! Now how CUTE is your graduating kitty?! Sooooo fun! Thanks for sponsoring Curtain Call! How cute...love the little tassel on this graduate! 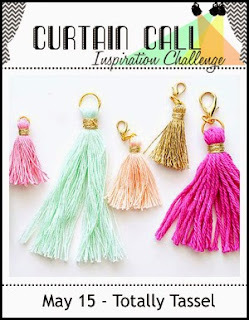 Very great idea to use brads (I think we all have that in our stash). 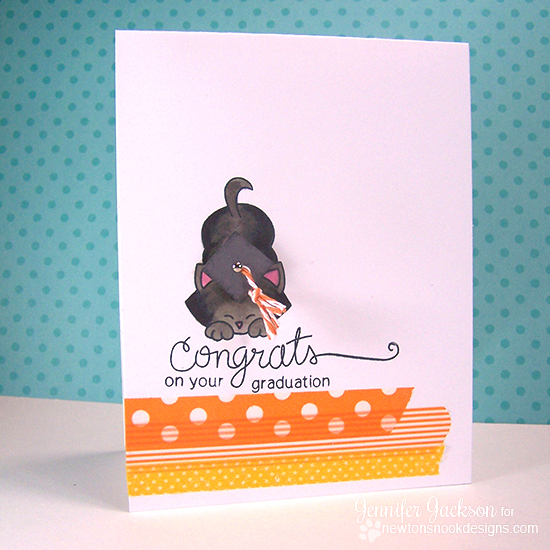 Super cute Grad card, Jennifer! Love the adorable grad cap you created along with the fabulous CAS design! Thanks so much for sponsoring us over at The Curtain Call!